I made my way to F&L's HQ in Hackney to join a host of other diners including fellow bloggers, competition winners and representatives from Yell.com and the Jamie Oliver Foundation. The event was sponsored by Trusted Places which is the review site for Yell.com, and an impressive £1,400 was raised for the the foundation. Well done Yell! F&L, together with a couple of chefs from Jamie's 'Fifteen' restaurant, cooked up a storm using quality ingredients, all kindly donated by various suppliers, including Fin & Flounder's fantastic fish, and the East London Steak Company's amazing steak. Green & Black's were also present with an abundance of tasty chocolate. Not to mention some really excellent wine from Naked Wines. 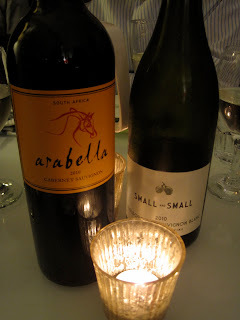 I bonded particularly well with the South African 'Arabella' Cabernet Sauvignon! 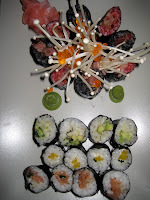 The menu had all the signature F&L traits comprising copious tasty and varied dishes. 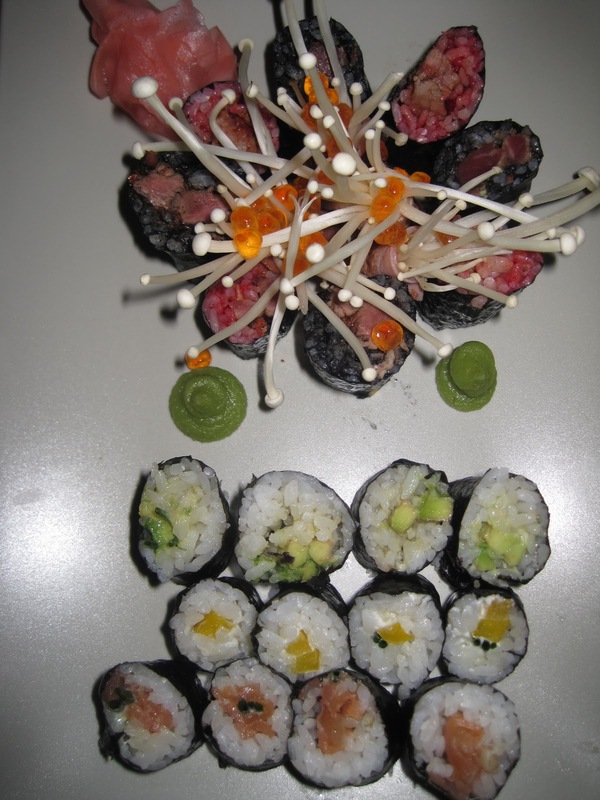 We started with a beautifully presented platter of sushi, followed by a cheesy bacon and tomato swirl (with a shot of fresh tomato juice). Then came the oxtail which literally fell off the bone. Next up was a delicious ceviche made with white fish marinaded in lime and coconut milk. As if that wasn't enough, along came some seriously good steak complete with veg and perfect roast potatoes. We just managed to leave a tiny space to squeeze in a homemade lemon fudge slice which came with a mourish popcorn ice cream. This is definitely my new favourite ice cream flavour. A feast indeed! The event was a huge success and such a friendly bunch of people all having a good time and reluctant to leave. I didn't leave until 2am, which says it all. 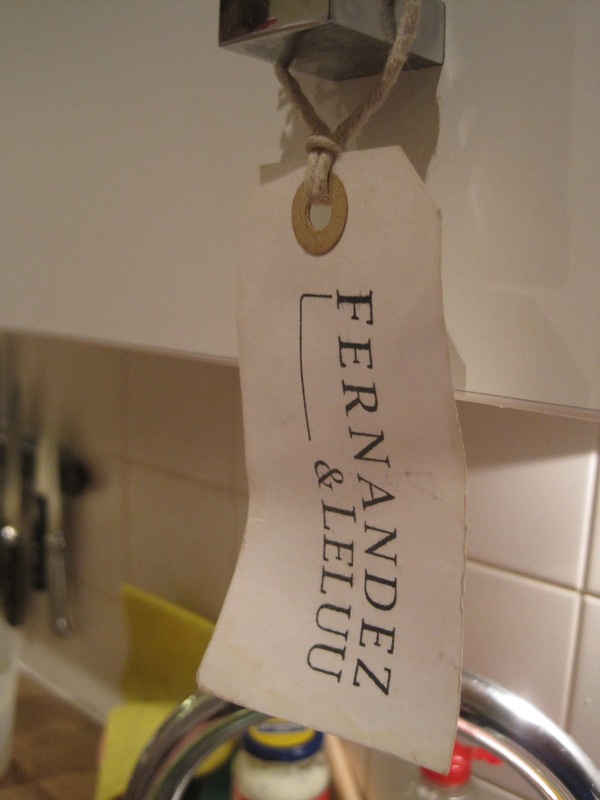 Big thanks to Fernandez & Leluu for hosting yet another great evening.